Q: My guinea pig’s tongue seems to be red and quite raw. Could she have an infection? 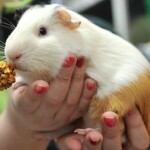 A: You should get your guinea pig checked by a vet as soon as possible. One possible cause is that she has licked at something poisonous, such as bleach or a household cleaner. Or the problem could be that her teeth, which grow constantly, aren’t being worn down properly so sharp edges develop that can affect your pig’s tongue, usually on the sides. Injuries caused by the teeth can lead to infections in the mouth too, which causes raw red patches. Your vet will do a thorough examination and give any necessary treatment. 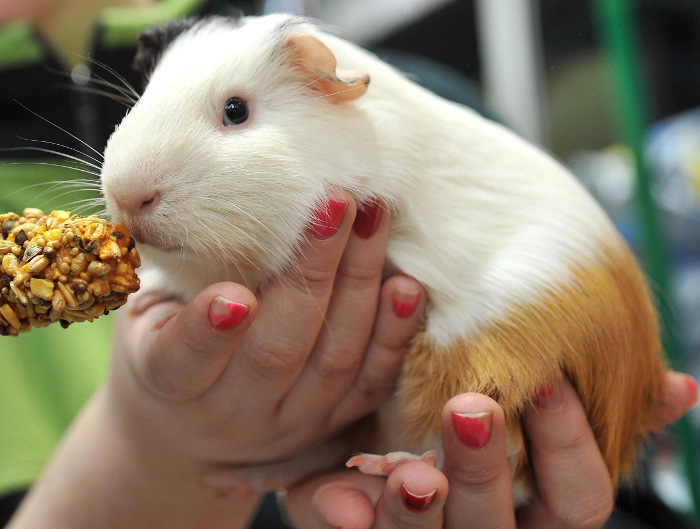 If your guinea pig’s teeth aren’t worn down enough, your vet may trim them and give you advice about the type of diet for your pet, as this can be a cause of teeth problems. Q: My cat Molly is nearly two now and she always wants to sleep in the bathroom. And the minute people use the sink or shower she dashes up there and paws at the door. Why is she doing this? A: There are some diseases like diabetes and kidney disease that can cause a cat to drink more than normal. This is why I’d recommend getting her health-checked by your vet, to make sure there isn’t a medical problem. If everything is OK, then it could just be that she prefers to drink moving water, like quite a lot of cats. If this is the case, then think about getting her a cat drinking fountain. If she likes it, this will mean she will get enough to drink, which is important as it helps prevent urinary problems. Another explanation is that she finds the running water interesting, and simply enjoys exploring and playing with it in this way. Her age makes this quite likely, as she is still young and probably still very playful. Q: My Yorkie, Hattie, is five years old. I take her for regular walks but she still often urinates in the flat. How can I stop her doing this? A: I would advise taking Hattie to be checked over by your vet. There may be a medical reason for this, such as incontinence or cystitis, which she could need treatment for. If your vet rules out a medical cause for the problem, then think about why she is urinating inside. Does your flat contain something that is a “territory invader” in your dog’s eyes? Was there a change in lifestyle, such as a new family member, or does it tend to happen at a particular time of day? Try keeping a “urination diary” to see if there is a pattern in her behaviour. It may also be the case that Hattie has never been fully toilet trained. If she hasn’t been rewarded for going to the toilet outside she won’t know that this is the preferred behaviour. If this is the case you should give Hattie lots of opportunities to urinate outside, take her for walks as often as possible, or whenever she shows signs she needs to urinate, and praise her when she does “go” in the right place. Some dogs also urinate indoors when they are left alone. This is called “separation anxiety”, where dogs can’t cope without their owner being present. Your vet will be able to offer you advice depending on what the cause of the behaviour is.